The Magnolia is our honeymoon suite and the largest room at the bed & breakfast. It features a king-size pencil post bed with a European lace canopy. The romantic loveseat at the foot of the bed faces the fireplace for intimate conversations. Next to the fireplace is the double Jacuzzi with stained glass window. 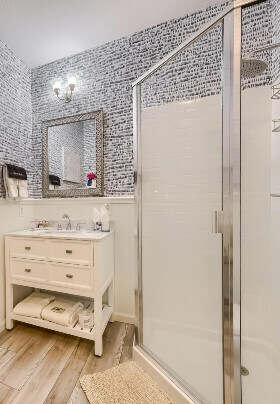 There is also a private bath enclosed by French doors, with a shower and large Country French vanity. 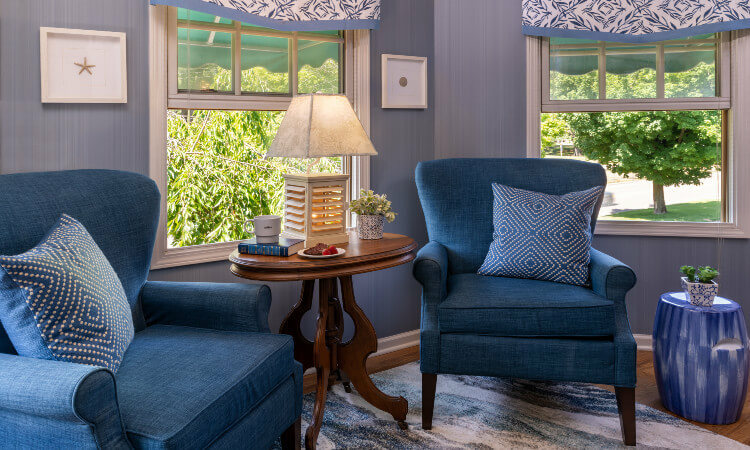 The Magnolia is on the second floor and overlooks the park from a platform sitting area in the bay window. 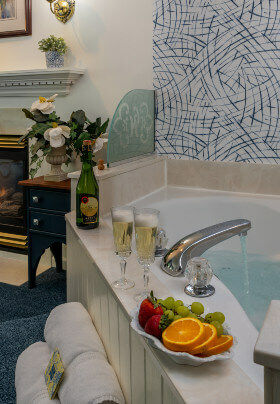 Ah, this suite in Inn at the Park is the perfect destination for romantic Michigan travel. Large flat-screen TV/VCR/DVD, central AC for summer and internet, of course!